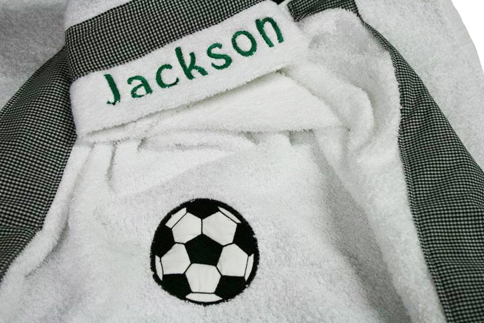 Our hooded towels are 100% cotton and measure 51" x 29.5". They are made from a full sized bath towel and I hand-sew on a wash cloth to complete the hood. They are soft and will be treasured for years to come. IMPORTANT: Please check your spelling and be sure to enter exactly as you would like it to appear.